This E-Booklet is a must read for those who are targeting CSR fund from companies and/or planning to become CSR implmentation partner for comapnies in near future. The data-sheet gives an overall view of CSR Budget of companies as per the Companies Act of 2013, for the Financial Year 2015-16. The previous version of the E-Booklet received an over- whelming response both from Companies and NGOs as well other stakeholders in the CSR domain. This year, we have made the booklet more informative with business sectors in which companies operate, making it clear for users to which sector comapnies they should target at. 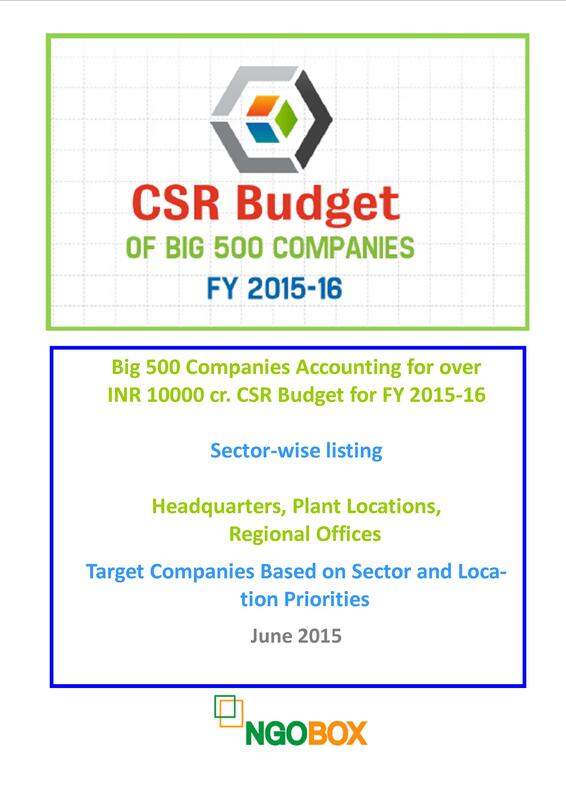 Further, the booklet presents interesting analysis of sector-wise CSR spending requirement among companies. The 500 comapnies, listed in the booklet, together account for moe than INR 10,000 cr. CSR funding in the financial year 2015-16. Once you make the payment, please login in the user account and click on 'Order Detail' tab on the right hand side. You can download your E-booklet from there.